10 week SPRING PROGRAM Costs $96. 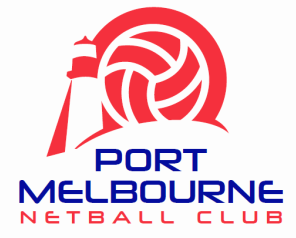 Port Melbourne Netball Club has been a registered NetSetGo Centre for 5 years. The NetSetGo program is designed for beginners aged 5 to 8. ​Over the 4 years of PMNC Netsetgo we have had amazing experiences! Like...Round 1 of the ANZ Champs and leading the players out onto Margaret Court Arena. During 3/4 time our NetSetGo girls took the court to display the skills they have learnt. This was very exciting for everyone to be on Centre court in front of a packed house!! ​We had a visit from Kim Ravillion of the Australian Diamonds who hosted a special NetSetGo session at our Club. What a thrill for the girls and we celebrated with a free BBQ for all. Photos and Video in our October news section. 2016 saw us change to an indoor venue and a surprise visit from VIXEN player Karyn Bailey. 2017 was our best year yet! Port Melbourne Netball Club Netsetgo was nominated as a FINALIST for NETSETGO Centre of the YEAR! We were so thrilled that our little club received this recognition out of all the wonderful clubs across the state. We cant wait to see what happens next at NETSETGO! PMNC runs a 10 week NetSetGO program to Netball Victoria's guidelines, each Autumn and Spring seasons. Location: R F Julier Reserve Courts, Dunstan Parade, Port Melbourne.